The preparation of the nativity scene is still for many families around the world a moment of sharing and celebration, an integral part of the Christmas celebrations. On 100talenti you can find beautiful nativity scenes with figures and animals carved by hand in European woods treated with non-toxic paints: the best of the Val Gardena tradition to experience the magic of Christmas. 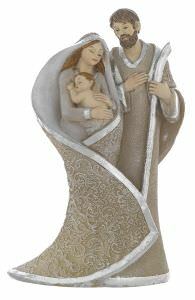 But you can also choose delicious nativity scenes in silver resin, excellent also as a small gift idea. Ask now for Discounted Online Offer at the Best Price 100talenti for products of category Crib Sets .